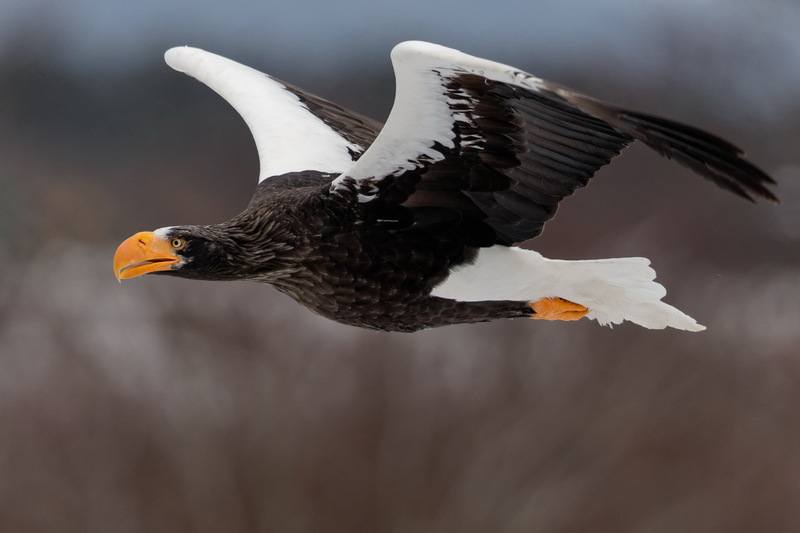 A Steller’s Sea Eagle in Yakumo on Sunday. The numbers are slowly falling as the salmon stock dwindles and the birds begin to disperse. There were still a fair few around though but for most of the morning the skies were too dark and blizzards hit in the afternoon. 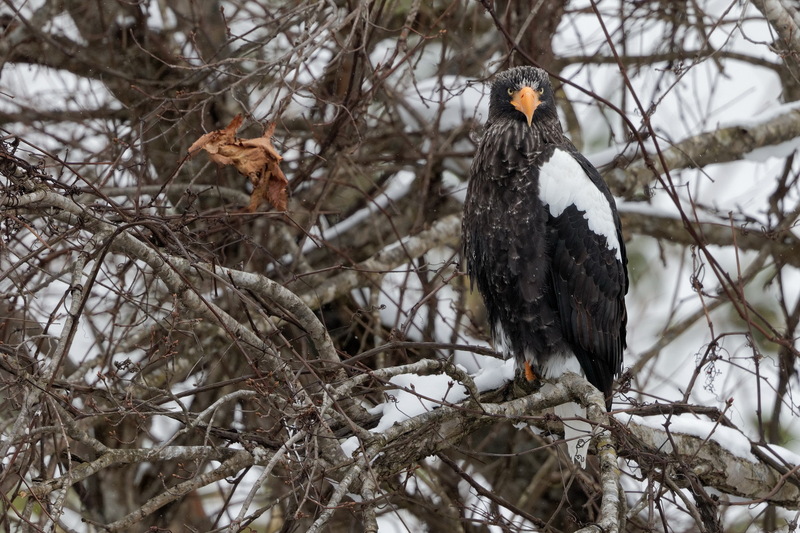 There were more eagles of both species up in Oshamanbe, they won’t be leaving quite yet. 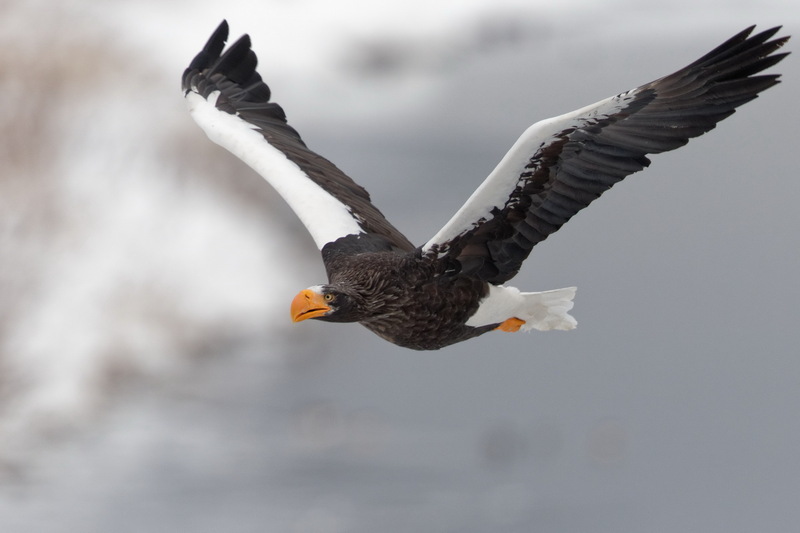 Great shots – no danger of the eagles looking too “contrasty” in the duller light..
Great sights on a grey Sunday. Very different to grey Sundays in Japan. I heard one Steller’s Eagle was sighted in Niigata last Sunday. It was a cold drizzley day and I stayed at home with the cough I’ve had for the last two weeks.